Yoshitaka Amano, known for his Final Fantasy character and logo designs, did not do character designs for FFXII — but did design the game's now iconic title. But if he did draw the characters of FFXIII? 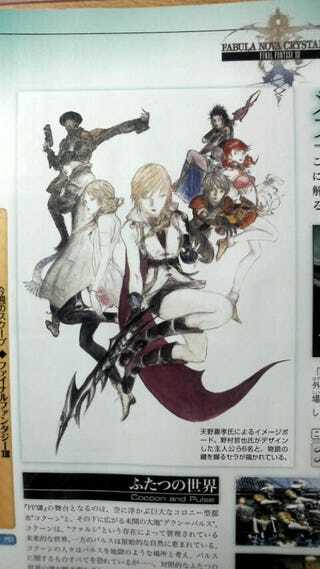 The characters in Final Fantasy XIII were designed by Tetsuya Nomura, but Amano offers his take on the cast of FFXIII in this drawing.